BEST TIME TO VISIT: Anytime. COMMENTS: Gold Bug Mine is open to visitors and is within the city limits. Placerville, affectionately known as Old Hangtown, began as the first of 30 mining camps that sprung up around Coloma where gold was discovered in January of 1848. During the same year, ranchers discovered rich placer deposits and hauled out $17,000 in one week from a dry gulch. 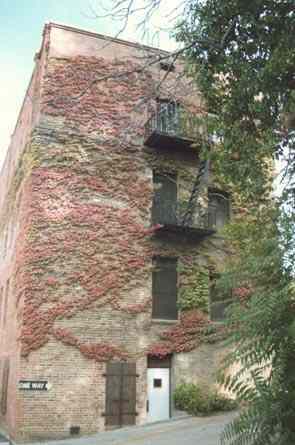 Dry Diggins became the towns first name. A tent city sprung up with in a week and a year later, thousands of men were camped out at the diggins. Vigilante justice created a new name for the town, Hangtown, in the fall of 1849. Criminals met their end, dangling from the end of a rope tied to the branch of a giant oak tree on the towns main street. 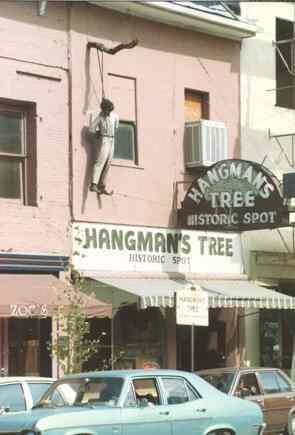 Hangmans Tree Historic Spot where the tree once stood, has a hung man dangling from the second story, and the stump is said to be still in the cellar of the building. Miners, in their thirst for gold, dug every where, including in the middle of main street, under their cabins and in the newly dug graves of their comrades. 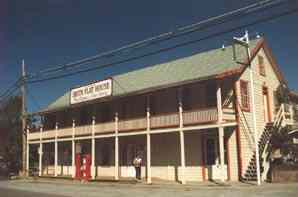 Hangtown became the third largest city in California, so, in 1854, the townspeople changed the name to a more respectable name, Placerville. 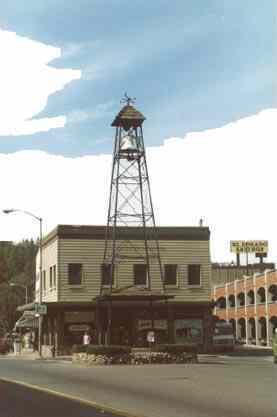 Placerville survives today because it is situated on prime transportation route over the Sierras from Sacramento to Nevada. It was an important stop for the Pony Express, stage lines and for freight, to and from the Comstock Lode in Nevada. 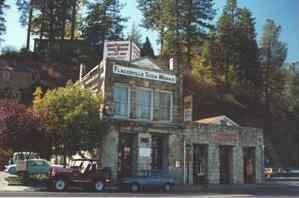 After the turn of the century, Placerville Road became part of U.S. 50 and is still an important stop for travelers going over the Sierras. It was the first big gold camp after the discovery of gold at Coloma. Its beginning began in June 1848 when Indians carried word along the forks of the American River that a new find was yielding $96 per man per day. The stampede to the new camp was on and within a week a thousand new souls populated the area below the South Fork. 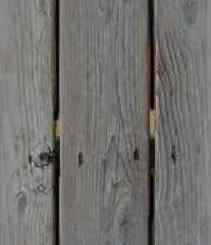 By autumn it was a thriving camp composed first of tents and log cabins, then of board and shingle stores. By the winter of 1849 the town experienced its first crime. Three men were charged with robbery and attempted murder. The were tried and found guilty. Someone shouted �Hang them!� And they were hung from a tree on Main Street. This was the first recorded lynching on the Mother Lode. 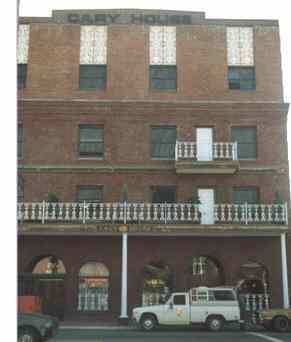 And Placerville became known as �Hangtown.� A civilizing influence was the result for bad men avoided the town. Today, the town thrives as the center of a lumber, mineral and vineyard country with its streets still following the original mule paths. Submitted by Henry Chenoweth.